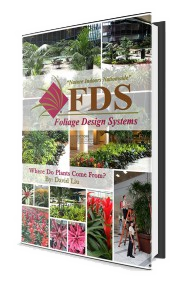 Let Foliage Design Systems of the Carolinas be your next choice for all your interior landscaping and office plant needs. Founded in 1996 by John and Lisa Bohbrink, FDS has served numerous clients over the years from their Wilmington, North Carolina, headquarters. The duo brought more than 20 years of marketing and operational expertise to the company, and over 20 years later, their seed has blossomed into a flourishing and thriving plantscaping business ready to help design and install a fresh burst of interior plant life at your company. Serving locations throughout eastern North Carolina and northeast South Carolina, FDS offers a complete end-to-end solution for your business. From designing and installing, through maintenance and seasonal plants, their services provide the complete answer no matter your business’ needs. The company has also been recognized for their work, including coverage in Interiorscapes magazine for their work during the renovation of the New Hanover County Government Center in 2003. With satisfied clients throughout the region, let them be your choice for your new plantscape or interior plant addition needs. For more information on our indoor office plants, interior landscaping or a free estimate, give them a call today at 910-395-5536 or drop Foliage Design Systems of the Carolinas an email at john@foliagedesignnc.com.